leaving him to depend on his late grandmother Carrie Davis. Music was his only salvation. him sing for the first time. In 2013, at the age of 21, Rich Lowe was introduced to the world by covering the late legendary Jackie Wilson’s “Lonely Tear Drops” via music video. The music video went viral and caught the attention of many. In 2015, he released his new EP “12:27pm” which is based off of true events in his life. Rich Lowe released “Creep Life” the first visual from the EP, then released "Wounded Soldier" the 2nd visual from the EP, and then the video “Get Enough” showing the world why he's the newest prodigy in R&B music of today. 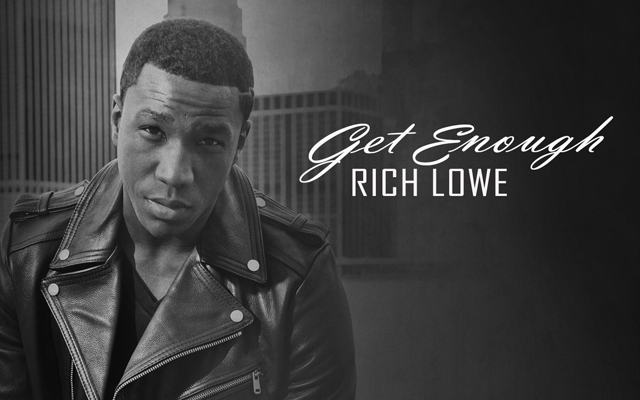 Rich has co-written and featured on The Conglomerate/Atlantic records recording artist O.T. Genasis single “Don’t Need A Thing” released in May 2012. He has written for Universal Motown artist Ginette Claudette, produced beats for popular emerging hip-hop artists Fred Da Godson and performed at musical showcases throughout NYC. Rich Lowe is under new management (H-M Management). He’s singing, writing and producing all of his own music; currently promoting his new hit single “Get Enough.” He is working hard toward his goal to being one of R&B’s most phenomenal artists.